Visit our other website that specializes in roll up PVC boats. We have sizes from 7'6" to 16' in these very affordable and quality inflatable boats. We are sell Delphinus inflatable boats world wide. We are the exclusive importer for Delphinus Inflatable boats. We acquired the line back in 2009. 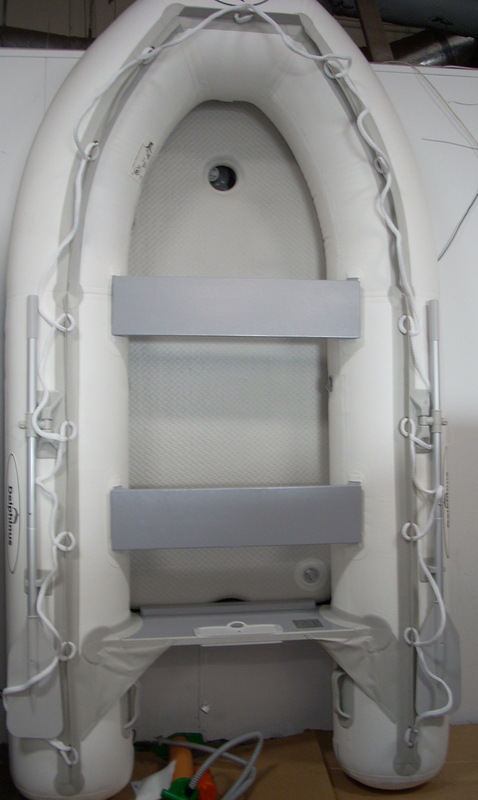 We have contributed to the design of the boats giving them some unique qualities not found on other inflatable boats. The bottoms of the tubes are double layered for example to protect against abrasion damage. We offer all our boats with double seats..even our 7'6" model! We provide a three year warranty on the PVC material and seans of the tubes included with the purchase price. This is a year longer than many others competitors. We have included a bow lifting ring at no extra charge. Take a look on the website or visit our store to check out these quality, affordable boats.